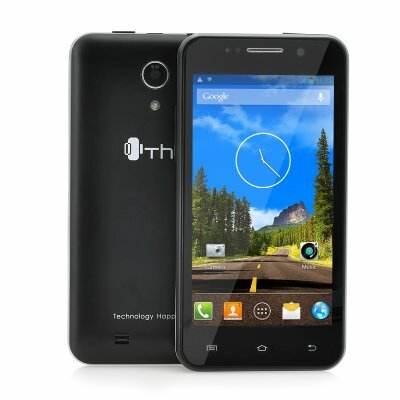 Successfully Added ThL W100S Quad Core Smartphone - 4.5 Inch Display, 3G, 960x540 IPS Screen, MT6582M 1.3GHz CPU, Android 4.2 (Black) to your Shopping Cart. 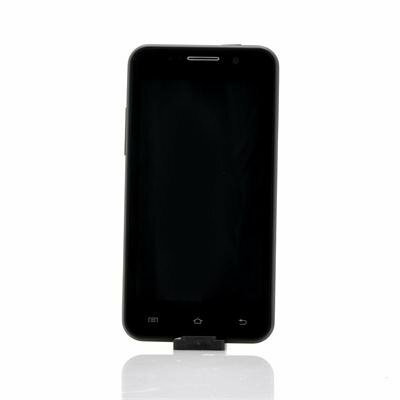 Quad Core Android 4.2 Mobile Phone features a delicate 4.5 Inch touch screen Display, 3G connectivity, a stunning 960x540 IPS Screen in addition to a powerful MT6582M 1.3GHz CPU ensures this phone is the right one for you. Featuring Android 4.2, the ThL W100S mobile phone allows users to really experience one of the best and most popular operating systems available today. Android 4.2 is faster and more efficient than previous versions plus it allows for more creativity and customization that the user can not experience any other platform. Also to really experience true personalization the user can download apps from the online Google Play store. The 4.5 inch display that has a resolution of 960x540 as well as an IPS touch screen shows videos, films, games and menus in full color for a visually excellent experience. Every touch will be detected by the 5 point capacitive touch screen allowing for easier navigation in addition to more control over the ThL W100S cell phone. 3G connectivity provides the opportunity for you to surf the web or make a phone call from almost anywhere in the world. To power the ThL W100S Android phone is a mighty MT6582M Quad Core CPU that can reach speeds of 1.3GHz plus when it is paired with 1GB of RAM it results in a performance that can handle just about anything that runs on this phone. There are dual SIM card slots to allow for two SIM cards to be inserted and used simultaneously as well as two cameras, one located at the front and one located at the rear so you can capture every moment no matter the angle. Ik begrijp al die Hollanders niet die dure gsm's kopen, zelf de goedkoopste gsm bij Aldi heeft niet te Specificateis van deze smartphone. Het draait gewoon lekker op Android inclusief nederlandse bediening. Niet nadenken en gewoon kopen als je op zoek bent naar een goede 4.5 inch gsm. Ik heb mijn vriend nog nergens over horen klagen, misschien de beperkte interne opslag van 4gb, met spotify heb je al snel meer ruimte nodig, opllossing: extra micro sd, 10 euro bij Action en je bent klaar. Beeldscherm voldoet ruimvoldoende aan de eisen. Goedkoop, snel en niet laten liggen, verzenden met DHL, niet UPS.....tenzij je graag b t w betaald. really god on internet, google play, facebook.Really good antenna and signal reception. impressive performance for money, antutu benchmark slightly above nexus 4, dual sim works like a breeze. gps fix could be a bit better. only android 4.2.2, no upgrade without rooting. Very neat looking phone with equally impressive performance. Very easy to use with many application available from Google Play. Turned it on and away I went, very impressed with it. Could find no bad points yet as have only just taken possession of it recently.